People may think that author JK Rowling would have a lot of spare time on her hands now with the release of the seventh and final book in the Harry Potter series. But she is filling that time by giving a little back to her fans, especially those in need. The bestselling author has recently donated a complete set of seven autographed Harry Potter books to be sold in a very special internet auction, starting September 1. All proceeds from the auction will go to the Catie Hoch Foundation, a non-profit organization dedicated to helping children who are being treated for cancer. It was founded by Gina Peca and Larry Hoch in 2001, and named in memory of their 9 year old daughter, who lost her courageous battle with neuroblastoma, a pediatric cancer, in May 2000. During her illness, Catie Hoch identified with Harry Potter’s fight against evil forces, and saw her battle as similar. She would often dress as the boy wizard when undergoing treatment for the disease. 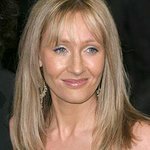 JK Rowling, who was working on the fourth book in the series at the time, heard about her terminally ill fan, and was both saddened by her condition, and heartened by her courage. While Catie was ill, Rowling would email her with notes of encouragement, and read her the as-then unreleased Book 4, The Goblet Of Fire, over the phone. Catie passed away before Rowling finished reading the book to her. The auction runs till September 29, and can be viewed at www.whenharrymetcatie.com.